WEST SPRINGFIELD, MA, October 9th, 2018 – Affinity Dental Management, Inc. (“Affinity”), a dental services organization that provides comprehensive management and administrative support services for dental practices, has added Newton Centre Dental to its growing platform. Financial terms of the transaction were not disclosed. Founded by Dr. Steve Levitt, Newton Centre Dental has a long history of providing quality general dentistry and service to patients in Newton, MA. 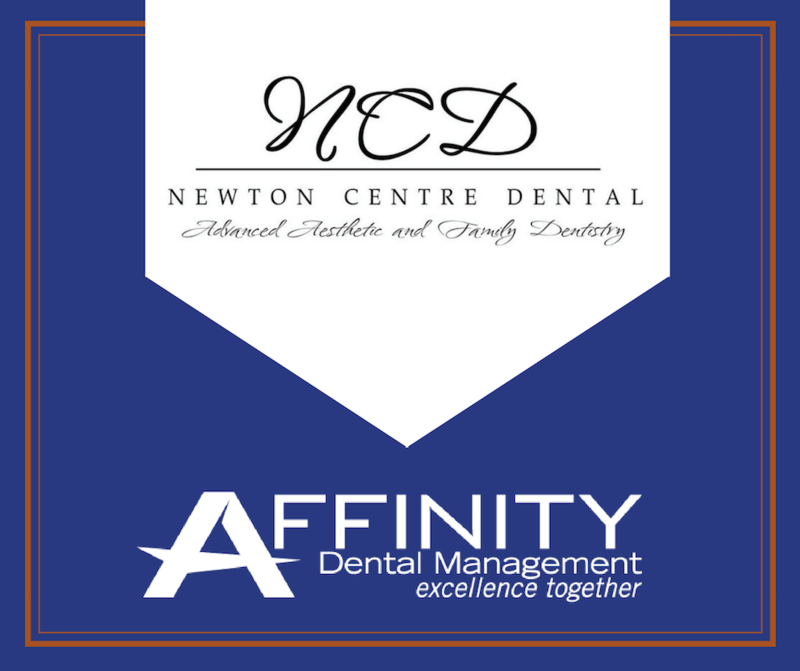 With the strategic addition of Newton Centre Dental, Affinity has expanded its network of affiliated practices and continued to build its presence in the Massachusetts market and in general dentistry. Affinity supports 26 general and specialty dental practices in their efforts to provide world-class clinical care for patients. Affinity Dental Management is a dental services organization that provides comprehensive practice management and administrative support services for practices across Massachusetts, Connecticut and Vermont. Affinity’s primary focus is supporting its affiliated practices in their efforts to provide excellent clinical care for patients. Affinity is also committed to providing world-class support services to its practices, which it believes creates the best possible outcome for patients, clinical providers and payors. For more information, please visit Affinity’s website (www.affinitydm.com). Founded by Dr. Steve Levitt, Newton Centre Dental provides high-quality general dentistry services in Newton, MA. For more information, please visit Newton Centre Dental’s website (www.ncdsmiles.com). Established in 2003, MidOcean Partners is a premier New York-based alternative asset manager that specializes in middle market private equity and alternative credit investments. Since inception, the focus of MidOcean’s private equity funds has been on high-quality middle market companies in the U.S. with attractive strategic, operational and financial growth opportunities in the Consumer and Business Services sectors. MidOcean Credit Partners was launched in 2009 and manages approximately $7.9 billion across a series of alternative credit strategies, collateralized loan obligations (“CLOs”), and customized separately managed accounts. For more information, please visit MidOcean’s website (www.midoceanpartners.com).